Frontier Pre-Alpha ★ Check Out This Western-Themed Survival Sandbox Game - KABALYERO - PLAY, BLOG & EARN! Frontier is a Western-Themed Survival Sandbox game. It's currently in development but a Pre-Alpha version of the game is already available. I came across Frontier while going through the various games listed in Steam Greenlight. It's basically a sandbox survival game where you chop down trees for wood, mine rocks for ores, hunt animals for food and build things to help you survive longer. 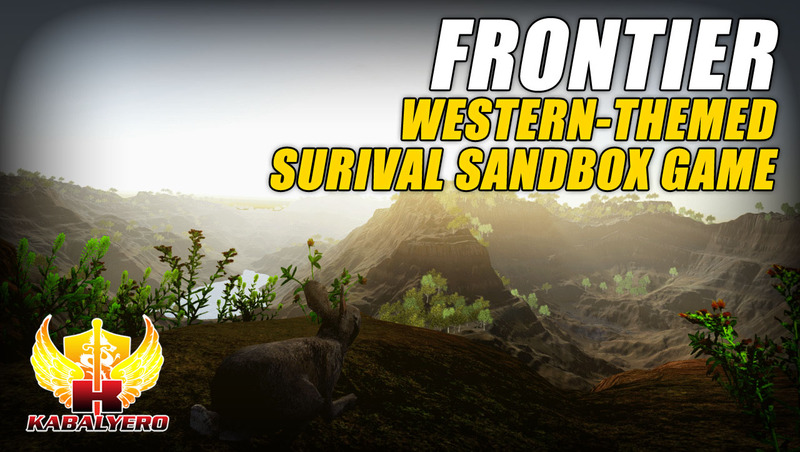 Now, for me, what makes Frontier different from other sandbox survival game is its Western-Theme. It's like going back in time like Marty McFly in the old days of the wild west and trying to survive it. Another good thing I like about Frontier is, it has a working and playable Pre-Alpha version and it's not a very big download. So, I downloaded it and tried to play the Pre-Alpha version of Frontier. ► Do you want to play more Survival Sandbox Game like Frontier? If you do then simply head on over to G2A. G2A is a great place to get all the games you want at very low prices. Unfortunately, I didn't get anywhere because the UI or user interface of the game was too big for my screen resolution and, like most Unity games that are in Pre-Alpha, Frontier is not yet fully optimized for various systems. Anyway, if you are interested in giving Frontier a try then download the Pre-Alpha Version of Frontier. Now, after playing the Pre-Alpha version of Frontier and you think it has a good potential of being a great game then why not vote for it in STEAM Greenlight. If you have any comments, questions or reactions then please post them in the comments section below.